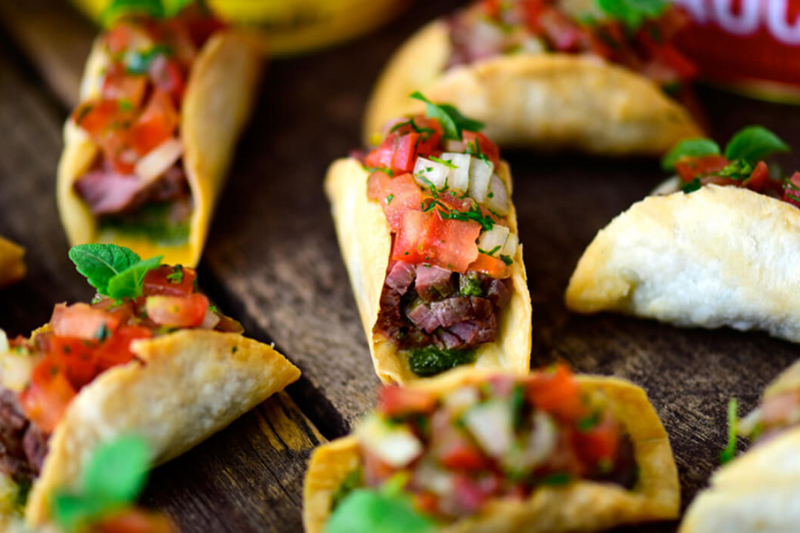 Perfect for any corporate or private event, our signature cocktail party menu fuses flavours from around the world to create fresh, inspiring and delicious morsels of food. 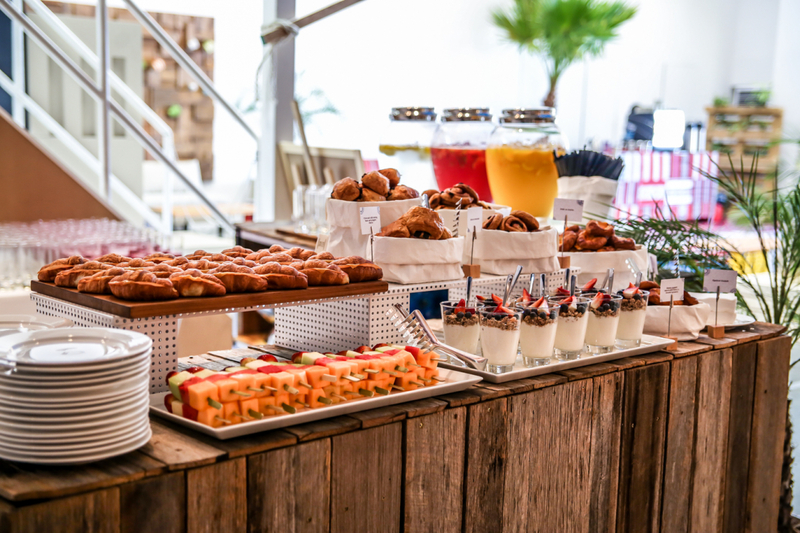 Whether it is a light offering for an evening drink or a substantial cocktail party, choose from a variety of one bite magical canapés or more substantial bowl and fork items. 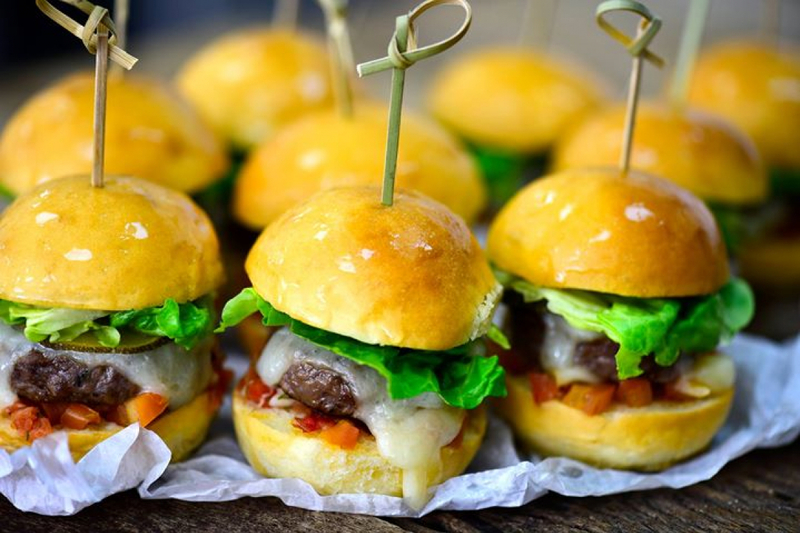 Be sure to pick some of the “crowd favourites,” such as our beef sliders and famous fish&chips. We will ensure that your guests are stylishly and generously attended to!!! Dish is famous for service with personality and food that steals the show. This menu does all of this and more! Available by themselves or perfect to add to a cocktail party our live stations are interactive and on trend. Seeking to impress with a formal atmosphere and food beyond compare? 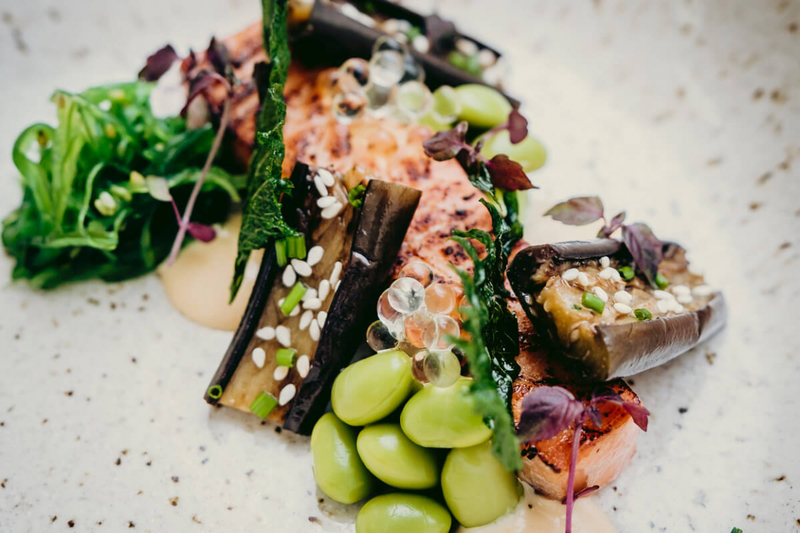 Our Executive Chef Ryan Thomas creates sophisticated culinary delights selecting the best seasonal produce on offer around the world. An informal, relaxed & interactive way to eat, this menu consists of beautifully presented platters of food designed for guests to share. 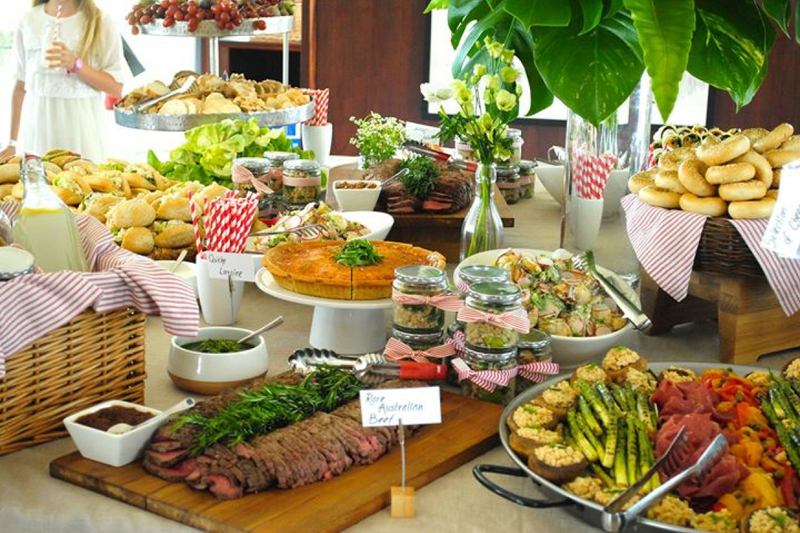 Dish up conviviality in droves with our delicate buffets in the middle of the table! 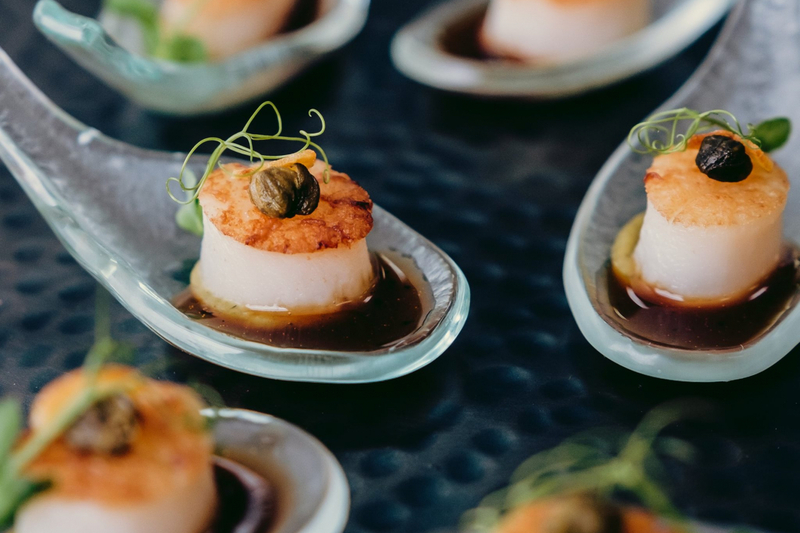 In consultation with one of our event coordinators, we are also happy to design dishes that highlight a specific cuisine. Sometimes simple is best and sensational food speaks for itself. Our commitment to excellent produce ensures barbecue menus are fresh, easy and delicious. With several options available, the barbecue menu can be flexibly adapted and presented as an informal dinner, or as a stunning grazing table at a garden party or relaxed wedding. There are no chaffing dishes to be found on a Dish buffet!! We like to call them grazing tables. They are a work of art where all the food is displayed out on designer platters and bowls for your guests to see. 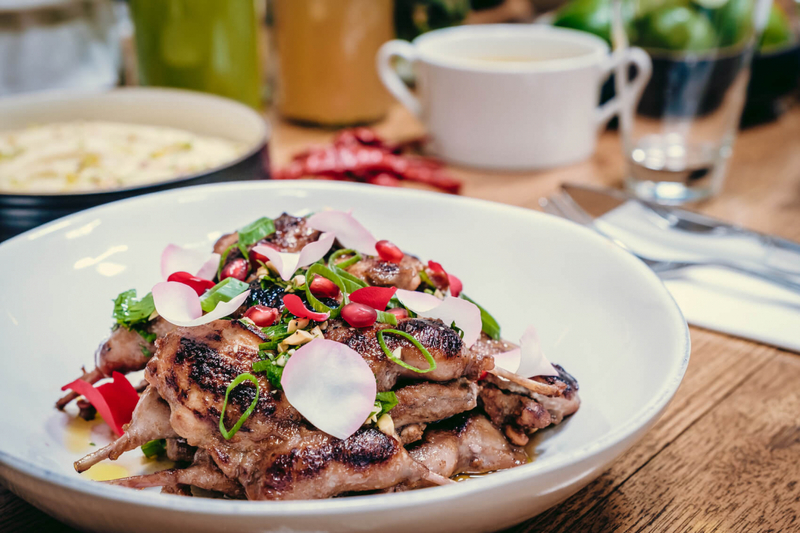 With an extensive list of dishes to choose from, we give you the opportunity to select as much as you like and create your own bespoke grazing table. A beautifully presented selection of sweet and savoury items that can be passed around or artfully presented on a feature table in an office or private home. Freshly brewed tea and coffee or even an espresso machine can be added to complete the experience. Dish kids parties are the best!!!! Healthy options are available along with all the usual party favourites. Everything is made from scratch and is delicious.